The very first thing we do when we are dealing with mold is to find out, and locate what is the cause. After we have found, and located the cause we correct it. 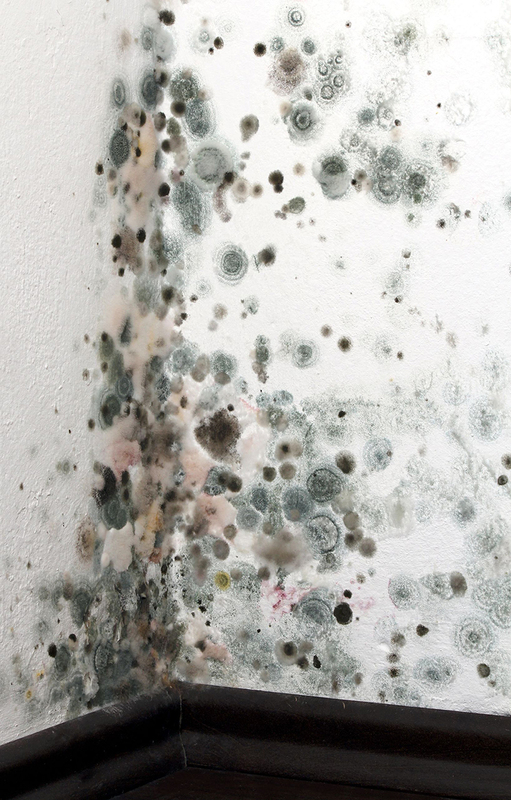 The only reason excessive mold forms is due to excessive dampness. Once the cause of moisture is located we work to correct that problem, and then we go about removing and sanitizing all mold contaminated services with the following methods. Mold Spot Repair is utilized for minor mold disturbances. This is usually solved once the water issue is eliminated, the mold is removed, and the surfaces are appropriately sanitized and lock down. Full Removal of Mold is a more tenuous process of removing all contaminated objects, and surfaces of mold. This is a much more complicated procedure due to the gross contamination of multiple surfaces, and locations throughout a facility. Upon mold remediation a visual inspection, and a final air clearance test is performed to confirm that all mold, and spores are within acceptable state and federal regulations.